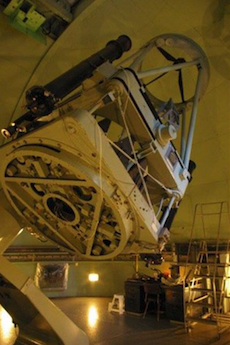 Astronomers based at NRC in Victoria, in collaboration with Canadian industry, have made BC a leader in the creation of some of the world's most important astronomical facilities. Here are some highlights. The Dominion Astrophysical Observatory consists of two professional telescopes ant the Centre of the Universe visitors centre. The DAO's 1.8-m (72 inch) reflector as the world's second largest when completed, and is named for the founder, John Stanley Plaskett. The Plaskett Telescope was used in the 1920's to establish the rate at which our solar system orbits the centre of the Milky Way, telling us the mass of our galaxy. Crucial data about the basic parameters of stars, like mass and temperature, was acquired by observatory founder Dr. John Stanley Plaskett and his colleagues. Work in this area continues to the present day, including information on the magnetic fields and chemical composition of stars. 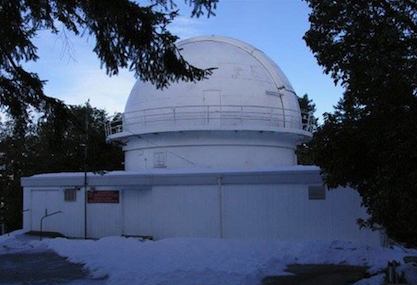 The Plaskett Telescope is still used every clear night to this day, often for determining the orbits of comets and asteroids. Dozens of different projects are carried out every year. It is approximately 10,000 times more sensitive now than in 1918, due to modern detectors, and is highly automated. Dr. Helen Sawyer Hogg identified 132 variable stars in the globular cluster M2 in the 1930's. Her ground-breaking work with the Plaskett Telescope, which she continued in Toronto, helped us understand the size and structure of our home galaxy, the Milky Way. She was one of the first astronomers to travel to the Southern Hemisphere to make observations, and she wrote the book "The Stars Belong to Everyone" as well as a newspaper column to popularize astronomy. 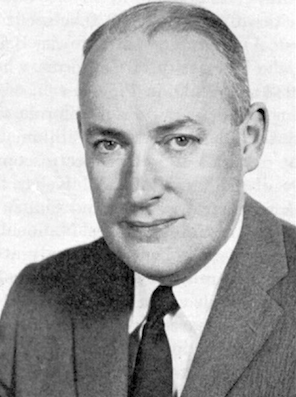 Staff member Dr. Andrew McKellar's expertise in spectroscopy led to his discovery in 1940 of molecules in interstellar space, and the temperature of space, 2.7 degrees above absolute zero. He also proved the existence of the CN cycle, the most important reaction in massive stars. Dr. McKellar accomplished all this before his early passing at age 50. 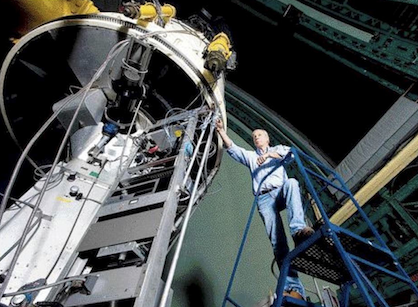 Named for Dr. McKeller, the 1.2-m McKeller Spectrograph was built for binary star studies in 1962 and features a garage-sized precision spectrograph. Dr. Harvey Richardson designed the original instrument, which now functions robotically thanks to upgrades by NRC engineers. 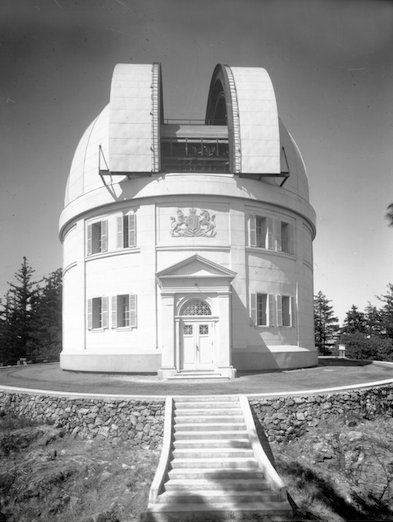 The technique developed by UBC and UVic astronomers Bruce Campbell, Gordon Walker and Stephenson Yang that led to the discovery of hundreds of exoplanets was first tested on the spectrograph here. The use of this technique on the Canada France Hawaii Telescope led the suggestion in 1988, later confirmed, of a planet aroud the star Gamma Cephei.